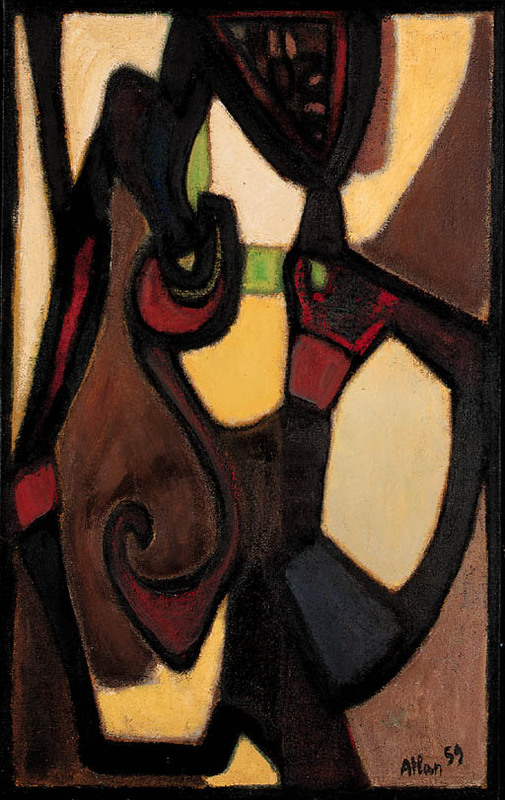 A. Verdet, 'Renouveau du thème dans l'art contemporain: Jean Atlan', XXe siècle, no. 21, Paris May 1963, p. 89 (illustrated). J. Polieri, Atlan, Catalogue Raisonné of the Complete Works, Milan 1996, no. 747 (illustrated in colour p. 371). Paris, Musée National d'Art Moderne, Atlan, January-March 1963, no. 88. Tel Aviv, Museum of Modern Art, Atlan, November-December 1964, no. 46.